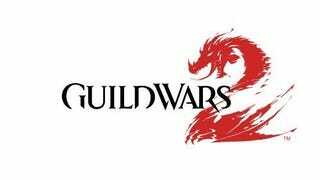 Guild Wars 2 "Structured More Like Other MMOs"
Call me crazy, but I always thought a major pull of Guild Wars was that it wasn't like other massively multiplayer online games. It's not just the GW used a more realistic art style than the dreaded juggernaut, World of Warcraft. Guild Wars was different because it was mostly instanced (which I think might've made it easier to break down new content into meaty packs that just added a massive batch of instances in new zones). Personally, I liked the way Guild Wars was because if nothing else, you could at least say it was different than everything else in some fundamental way. We use a lot less instancing than we have in the past. The game is structured much more like other MMOs, with the world consisting almost entirely of fully persistent areas. That being said, we have a number of different ways in which we use instancing. Dungeons, for example, are instanced areas designed for group play. We also use instancing very heavily in the players' personal quest chain to reflect decisions that the player has made on those quests. For example, Logan Thackeray, captain of the Seraph, has an office located in Divinity's Reach; his office is instanced because we need to update his status based on choices the player has made. You can check out the rest of his interview (which includes World Designer/Writer Ree Soesbee and Environment Art Lead Dave Beetlestone) at MMORPG.com. Reading the whole thing definitely put Flannum's quote in perspective and there's some interesting tidbits about what else we can expect from the sequel to the MMO that will still always be a special snowflake in my mind.